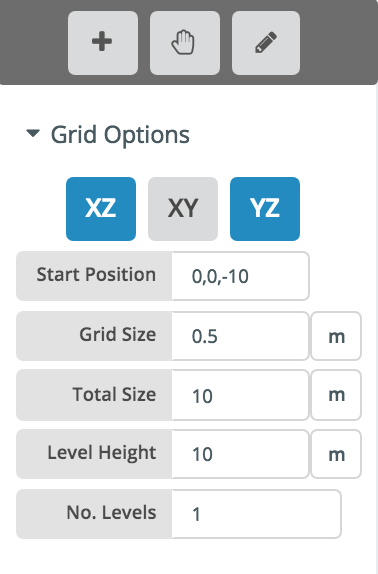 Plane Selector – The grids have been simplified into these three toggle buttons (XY, XZ and YZ). Click that plane to toggle it on and off. 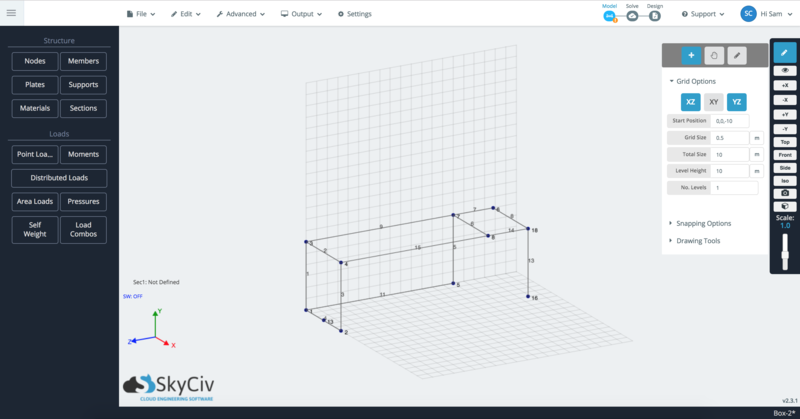 Start Position – The position in 3D space at which the grid will start at. Use this to pan/move the grid to a position that makes sense for you to work from. In the right (and above) example, the grid starts from the reference point (0,0,-10). Grid Size – The size of each small square of the grid. In the right (and above) example, the each small square is 0.5m x 0.5m. Number of Levels – How many times would you like to replicate the grid up? In the right (and above) example there is only 1 level. Level Height – By what distance would you like to replicate the grid up? In the right (and above) example there is only 1 level, so level height is not applied. 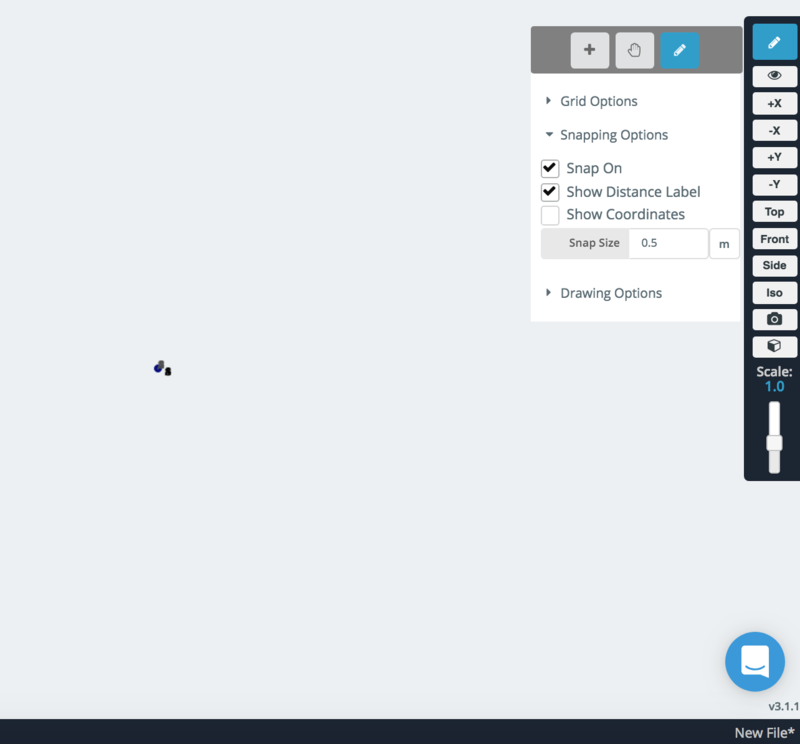 Snapping is an easy way to plot nodes using the mouse. 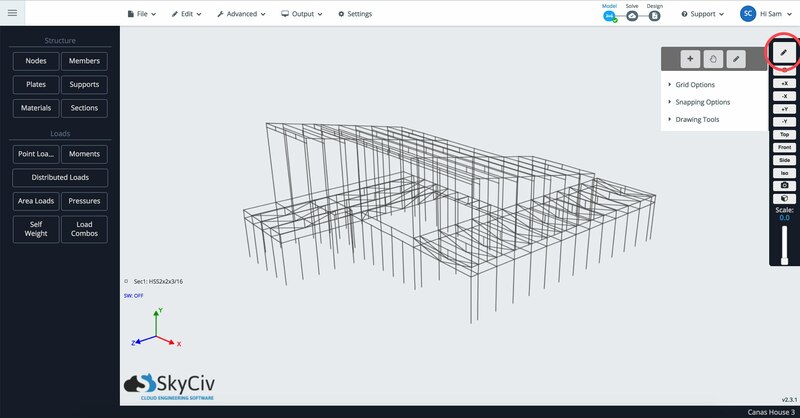 Simply hover (or click) a node to define this node as being the reference point. Then move your cursor along the global X,Y or Z axis and it will snap to that axis – shown as a dotted red, green or blue line depending on what axis is being snapped. The snapping tool might also pickup a secondary axis, such as an alignment of another node. To disable that refeence node, simply click somewhere that is not snapped, or hit Esc. Snapping will also detect a secondary axis. For instance if you’re travelling across the X axis of a node, it might pick up other nodes with that same X axis. 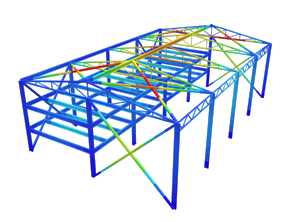 Show Coordinates – Show the coordinates of the proposed snap node. 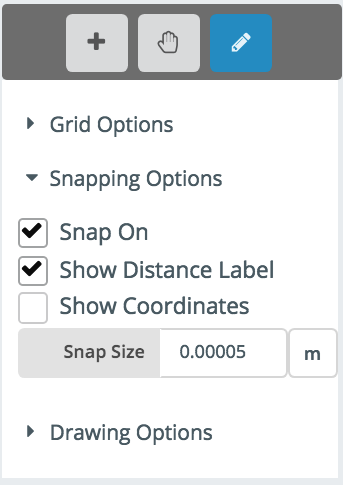 Snap Size – What increments would you like the snapping to occur from the point of reference.